After my recent post on coaching, you might be wondering how you can find blogs to follow that are specifically geared to your field. A quick Google search will turn up a lot of results, but they aren’t necessarily trusted or vetted. That’s why I love Alltop. 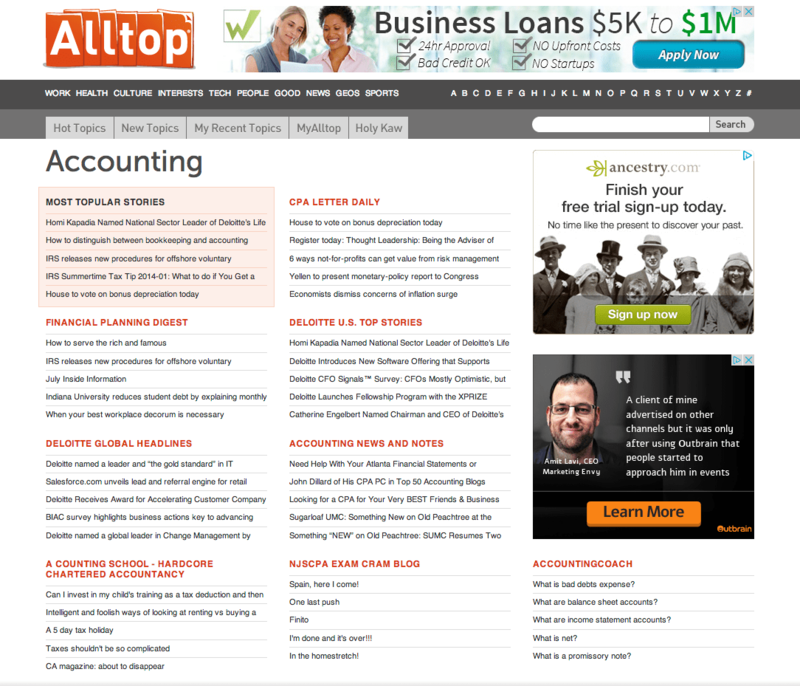 Alltop is a website built around bloggers talking about specific topics, organized in an easy to navigate way. For example, are you an accountant? They got that covered. Name your field, get creative in your search, you’ll have some new blogs to learn from in no time. Get to Alltop but don’t waste too much time on the site. It can quickly turn into a black hole. ‹ PreviousReady to Reach New Levels?